You have not failed - for you "accomplished" something awesome with that lovely card you sent - it blessed me at just the right time! Bless your heart dear Cindy. I am a procrastinator also, bad habit. I'm happy to hear this positive attitude in your post and know that Jesus is with you as you continue on in this journey. It does take awhile to grow through this grieving process, it's not just over in a short period of time, it takes time, and even then it won't be over until we are reunited and with our loved ones and Jesus for eternity. But, we can begin as you have done, to rejoice and live in each moment we are blessed with. Cindy you are doing what you need to do. 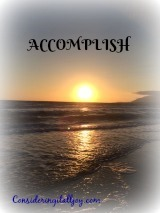 Accomplish is a great word and with that goal in mind you will make great strides this year I'm sure! God Bless! This post made my heart sing. Hugs to you as your journey is moving forward in a new direction for this year. Our prayers and hope will be with you as you begin to travel forward and "accomplish" making new beginnings. 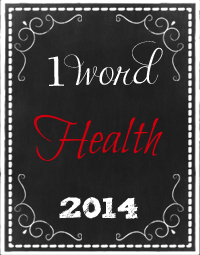 LOVE your word! Looking forward to all that you Will ACCOMPLISH! How is it going at the shop??? This is a slow month in the antique business! Cindy, this was such a heart felt, touching post. You have so beautifully shared from your heart the desires that I believe you and God are going to ACCOMPLISH in this year ahead. Praise His Holy Name!! Your precious attitude is just the beginning of great things ahead. My husband passed 4 years ago and I am missing him more. Maybe it is being trapped from the 4th snow storm or not really ever having a chance to mourn before as so many changes had to happen after he died (could not keep our home). I am finding it difficult to follow through on things as well and have been going to a grief group. I'm so happy to hear all of this "positiveness" from you, Cindy! I think your word is great, but I feel you should celebrate the one thing you did accomplish and not beat yourself up because you haven't accomplished more. One thing I've learned over this last year, is that I have to divide things up into small bite-size pieces....I cannot eat an elephant in one big bite. That was a real eye-opener for me, because I'm not patient with myself....everyone else, yes, me not so much. So, my sweet friend, be kind to yourself and cut that elephant into itty-bitty pieces! Awesome girl! Looking forward to celebrating all the wonderful things that come your way.